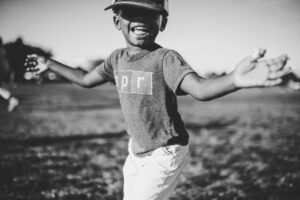 This post has been submitted by guest blogger, Randy Haaland, a rockstar foster and adoptive dad in North Dakota. We learned about Road Trip for Dad’s at Camp Connect 2017, which was a summer camp for adoptive parents that was put on by the ND Post Adopt Network. Mike Berry was the speaker at the camp and he mentioned it during one of his sessions. When he described it, a few dad’s seemed interested in making the trip, but after the camp was over everyone parted ways. A month before road trip was to start I was contacted by one of the other dad’s that attended the summer camp to see if I would be interested in road tripping to Colorado to attend Road Trip for Dad’s. I was a bit hesitant, but was encouraged to go by my wife, which we later found out was a very common occurrence. After giving it a lot of thought, I decided to go along and give it a try. We met in Casselton on a Saturday morning and then headed to Bismarck to pick up another dad after that we were on our way to Bear Trap Ranch by Colorado Springs. One of the dads had planned out our trip because he had experience traveling the route that we were taking. We shared a lot of experiences on our drive. We also made some pit stops to sightsee and hit up a couple microbreweries in Deadwood, SD. He had made reservations at a neat little cook shack called High Plains Homestead in Nebraska. We ended up spending the night at a small bed and breakfast just down the road. A couple of the rooms were in a barn, which was comical when we told our wives and kids, but they were actually really nice rooms. After a good night’s rest, we woke up to a great homemade breakfast from the very interesting and down to earth owner of the bed and breakfast and then we were on our way. The conversations we had on our road trip were well worth the 14 hour car ride. I would highly recommend taking the time to actually road trip to Road Trip for Dad’s for anyone looking to attend it. Arriving at Bear Trap Ranch on Sunday, no one really knew what to expect. We checked in and claimed our beds in rooms that had two to three bunk beds each. That night at supper there was a speaker that talked about his experience with adoption, which was really eye-opening to the amount of trauma our kids can come from. It definitely helped me realize that instead of trying to fix our kid’s problems, sometimes we have to change ourselves and the way we discipline and teach our kids. That night there was a campfire where we all got to introduce ourselves and learn about each other’s stories. That night by the campfire really opened my eyes to realize that we are not alone in the parenting of our kids. The next two days we really had to ourselves to do whatever we wanted. We did some hiking around the area. A few dads did some fly fishing one day, another group went up to Pike’s Peak, and of course we went down the mountain to a couple microbreweries. I would say the most rewarding experience was going on a hike with a large group of dads through a couple old train tunnels. Just walking through the mountains and seeing all the beauty in the mountains was breathtaking. It really allowed me to reflect on my past with the kids we have had as foster kids and our kids that we have adopted. I was able to just sit and think of things I could do differently from the conversations I had with other dads. I was also able to think about all the ways I could improve on my relationship with my kids and wife. Over those two days, it really helped me realize that we are not alone in our fight for our kids to be able to have as normal of a life as we can provide them. The last morning we walked up the mountain to have a cowboy wrangler’s breakfast. It was an amazing breakfast and it was great to be able to reflect on the past couple days with everyone one last time. After breakfast we packed up and left. Leaving was one of the hardest things to do, because it was such an amazing experience, but I was definitely ready to get home and share my experience with the wife and kids. It is hard to put into words how the trip changed me, but I feel like attending Road Trip for Dads helped me become a better dad. I have realized over the years of doing foster care that no amount of classes and training can help you deal with some of the issues that our kids come from. The best training is learning from other families and hearing their stories. 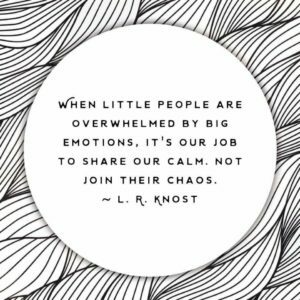 When you listen to someone tell their story and everything starts clicking and you realize that they are talking about exactly what you are going through, it really helps knowing that you are not alone in the battle of raising our kids who came from trauma. Click here for more information on Road Trip for Dads! Facebook, Instagram, Snapchat, Twitter, etc. All examples of social media outlets, with the potential to be harmless or incredibly destructive, especially to our unassuming youth. Protecting your youth from the harmful side of social media is becoming more and more difficult and proper education is becoming the one safeguard against this. Ask questions: Find out what your youth thinks about sexting. Have any of their friends experienced this? And how did your youth respond? Help your youth brainstorm ways to overcome peer pressure and remind them that your door is always open! Remind them that when they send something, those words and images are now “out of their control”. Encourage your youth to count to 10 before hitting send and to consider the ways their message could be used. Help your youth realize that impulsivity can “come back to haunt them” and then they have no control of what can happen. Be honest with them when you talk about risks and consequences. Set appropriate expectations for social media use. Ask your youth what impressions they want to give to people and how that impression can change based on what they send. Want more information on social media safety? Check out our webinar, facilitated by Jessica Schindeldecker of the Fargo Police Department! I attended the ATTACh conference fall of 2016 in St. Louis. Cynthia Agbayani of Lifeworks Outreach Services, Inc. spoke on helping adopted youth grieve losses. Agbayani noted that a youth once told her that their “heart was cracked” and another stated “if I start crying, I won’t stop”. Too often we assume we know what youth are feeling throughout their journey in foster care and adoption and treat them accordingly, but do we stop to ask them how they perceive their experience? It’s scary and uncomfortable to talk about grief and all too often we tend to avoid it, saying “it’s okay”, “don’t be sad”, “don’t cry”, “it’s fine”. While we come from a good place in saying those things, we really may be dismissing the true feelings a child is sharing with us. Their feelings are hurt. They are scared. Their hearts are cracked. And they are opening up to tell us that and we are essentially telling them to stop when we use those common statements. There is a difference in grief vs. trauma. Processing grief leaves a general feeling of sadness, it can bring relief, and if there is anger, it is usually non-violent. Processing trauma can lead to feelings of terror, feeling unsafe, and anger maybe physically violent (Levine and Kline, 2007). While grief is healed through emotional release and tends to diminish over time, trauma involves flashbacks, startling, and other symptoms that may worsen over time. With grief, Agbayani stresses the importance of clearly and honestly answering primary questions for youth, such as “will I ever see my parents again?” or “what will happen to my parents?”. Glossing over this information will cause confusion and further stress for a child. Your ability to answer these questions for your child and assist them in managing their grief will impact your child’s ability to develop a secure attachment to you as they continue to age. Normal mourning may include expectations of return, persisting memories, fear of additional losses, and feelings of sadness that will come and go. Symptoms of failed mourning could include feelings of anxiety, insecurity, as well as blame and guilt. Youth may have bursts of overactivity, and may have an increase in anti-social, delinquent or depressive behaviors. They may feel like something is medically wrong with them when there is not, or may become more self-reliant. Keep in mind, while not all youth that demonstrate these activities have “failed mourning”, they are things to keep in mind as you parent youth from tough places. As the caregiver, make a list of what may be triggering to your child so you can pay attention to those situations. Provide your child with age appropriate answers to questions they have, regardless of how uncomfortable that question may be for you. Allow your child choices in situations that permit this. Stick to routine as much as you are able. Help your child practice answering questions that peers, teachers, and other adults may ask them (and help them in understanding that it is okay to not share personal information if they do not feel comfortable in doing so). Give them ideas of what words to use. Make a safe container to hold your child’s heartbreak and anger. Help your child recognize their strong feelings and sensations. Make a life timeline, listing memories, stories, happy and sad times. And keep in mind, youth are not so different from adults. When we are struggling or grieving, we often call our friends or family, or find someone to talk through and process our experiences with. Your child also needs to process their grief with others who listen with empathy in order to grieve successfully (James and Friedman, 2001). Grief does not completely go away. It will come and go in various ways as your child ages. How you talk about it with your child now will have a huge effect on their ability to handle their grief as they get older. If you have questions on helping your child process their experiences or would like recommendations for services or providers, please feel free to contact me at postadopt@pathinc.org or 701-551-6349. I would like to address a very common question that is coming through the ND Post Adopt Network. Families are wondering how they can find appropriate service providers. They note that when they are looking for therapists, psychiatrists, etc. many are very good at their jobs, but not all are well-versed in the realm of adoption or foster care. They state that it is difficult to find a service provider because wait lists are long and the number of professionals who understand the complexities of adoption narrow options even more. 1. Do you have experience with foster and adoptive families? If so, how much? 2. How often do you work with them? 3. What adoption-related training have you received? 4. Can you connect me with one or two families willing to give a reference? 6. Will you accept payments from my insurance provider? 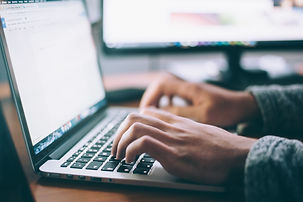 If you find a provider that you feel a strong connection with, encourage them to seek adoption specific trainings or to contact the ND Post Adopt Network for information and tools to help them enrich their practice! Information compiled from “Strengthen Your Forever Family: A Step-by-Step Guide to Post-Adoption” by the Dave Thomas Foundation for Adoption. After adoption, many families wish they had friends that really understand what they are going through as they parent youth from foster care. Extended family and friends mean well, but don’t always quite understand the unique issues that surround adoption-they don’t “get it”. ND Post Adopt Network is creating a mentoring program for you as adoptive families. According to Richard Delaney in his book “Safe Passage”, mentoring is defined as “teaching, tutoring, or coaching provided by a trusted confidant.” (p.5) It’s goals are to “stabilize, overcome isolation, engender hope, and provide safe passage for a child and family.” (p. 5) The intent is that adoptive families help other adoptive families by validating feelings, providing support, and showing that they understand what they are going through. 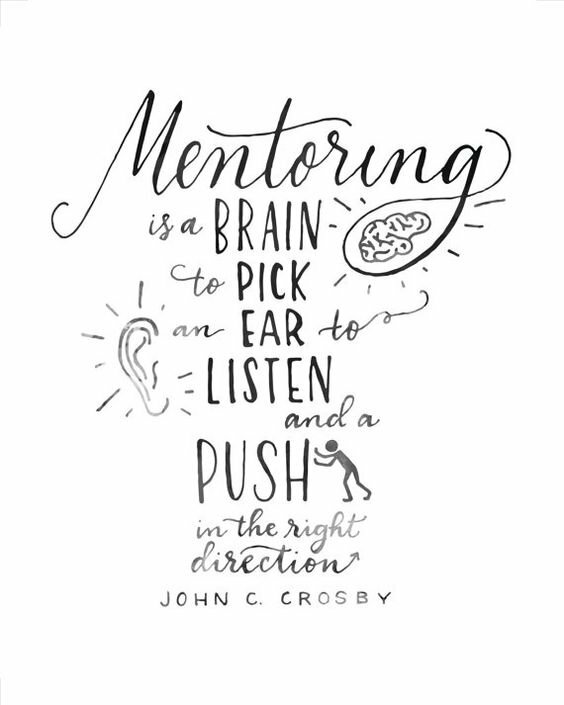 Be connected to a mentor! Do you have questions that you wish you could talk to another adoptive family about? Would you like to learn how others handled situations? Are you looking for someone to check in with you to see how you are doing? Your family can be connected to another who has gone through similar situations and knows how to navigate the system. Be a mentor family! Have you adopted? Do you have an interest in helping other families through tough times through phone calls, text, email, and/or providing informal respite? If so, you can apply to be a mentor family. We are so excited to be able to offer this support to adoptive families! To participate in this mentoring network, email Sonja at postadopt@pathinc.org or call her at 701-551-6349. Webinars: We had our first webinar in June and it was a total success! Webinars are held quarterly throughout the year. Topics upcoming in 2016 are Social Media Safety and Self-Care. Mentoring: We have a list of adoptive families that are interested in supporting other adoptive families. We will soon hold a 4-6 hour training for our mentoring families, but they are available to us now when there is a need! Adoption Camp: There is a committee exploring options for a 2017 summer overnight camp for adoptive families. This is a very exciting concept and we are looking forward to seeing it come to fruition! Again, stay tuned! Welcome Information: Families that adopted (through AASK) from 2012-present have all received information about our network. Other LCPAs (Licensed Child Placing Agencies) in the state have our information and are giving it to their adoptive families, as well. Information will be sent out to subsidized guardianship families from ND DHS with their annual review packets. Training/Education: I will be presenting on adoption/post adopt at the Fall Festival of Training in Region V in the fall. Hope to see you there! Look for trauma trainings geared toward adoptive families in early spring! Case Management: I have worked with over 30 families in the last 6 months, helping to navigate the child welfare system, finding adoption knowledgeable supports, and advocating for their child’s needs. I am here to be a listening ear, share what I know, and plug you into our network! These are the highlights of the last 6 months. Lots of progress, a long way to go! My vision is that this service reaches every North Dakota family who has adopted and that it provides you useful information and support as you raise your children. As always, I am open to suggestions and feedback to make this vision a reality! Please feel free to contact me by emailing through the website or to postadopt@pathinc.org. You may also call me toll free at 844.454.1139. From the bottom of my heart, thank you for committing to the children in your home, both temporary and permanent, however they got there.